Brand new to Animal Planet comes Groomer Has It. 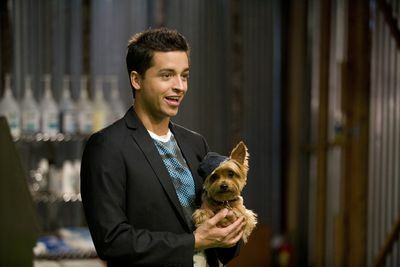 Presented by Jai Rodriguez (Queer Eye for the Straight Guy) this fun and engaging competition sees a dozen of America’s best dog groomers shampoo, shave and shear their way through a series of challenges to determine who will win the cash prize of $50,000 and their very own mobile grooming salon. Viewers are taken on an emotional journey of extreme highs and lows, as they witness twelve dog groomers from extremely diverse backgrounds meet and compete in the most unique grooming competition ever. 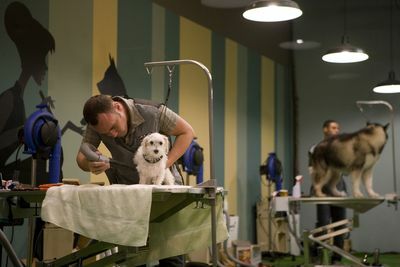 The series kicks off as the groomers take their first trip to the Groomer Has It Salon, meeting the judges: veterinarian Dr. Karen Halligan, professional dog handler Xavier Santiago, and master grooming instructor Joey Villani. Initial challenges include the ‘Quick Sniff Challenge’ where they must identify dogs by their breed - blindfolded. Jai then reveals the groomers' first clients: a set of twelve yarn dogs, which the groomers must creatively style within two hours. There are diva contestants from all walks of life including a celebrity dog groomer and a pet boutique owner who all believe they have the ability to groom their way to the top, claiming the ultimate title of Groomer of the Year.